Always aware of the need to move with change, network marketing has been described as the business model of the 21st century by many very successful business owners. Host Lesley Malcolm, a successful businesswoman based in Glasgow, has her own very successful network marketing business and coaches and supports others to build strong and beneficial relationships. 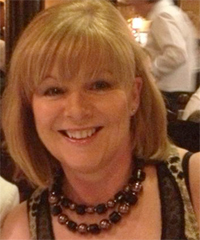 Lesley has over 20 years experience in senior HR roles and developing successful businesses. She's a graduate of Glasgow University in History and Politics and a Fellow of the CIPD, an accredited coach, IIP advisor, Qualified Behavioural Analyst (DISC), and NLP Practitioner. She started her career in HR with BHS Ltd working in Newcastle, Belfast, Manchester and Glasgow. Lesley then moved as HR Manager to Makro Glasgow, the UK’s leading Multi Self Service Wholesaler and had a national role in developing policies, procedures and strategy for the entire UK operation. Lesley is also a co host of a local radio show entitled Business Time where she interviews local business owners and gives tips on people within business.